For over a hundred years, workers in Hawick have traced their fortunes to the cashmere industry. This town, like others in the Scottish Borders, have long been involved in the luxury textiles trade — some focus on the spinning of yarns, others the weaving of tweed. Hawick’s speciality is in a unique kind of alchemy: the ability to turn the soft, downy underfleece of a certain kind of Asian goat into the world’s best cashmere products. 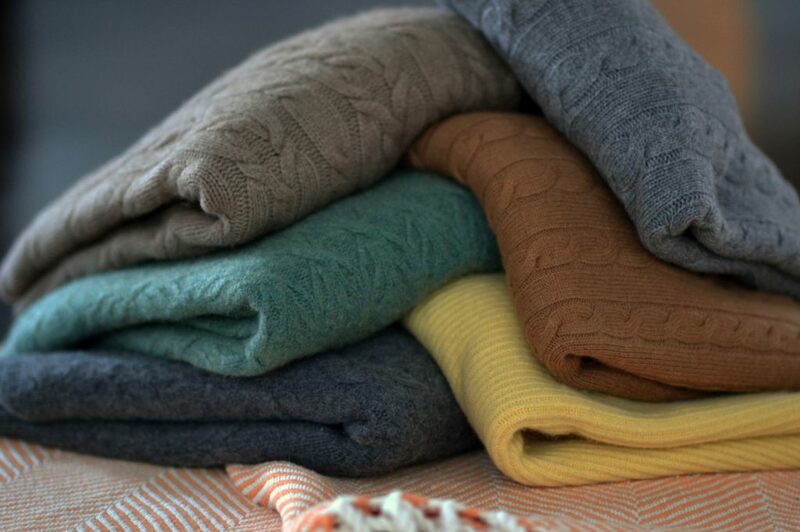 For much of the town’s history, cashmere sweaters and scarves were made the same way. From the mountains up Tibet and away across the back of the Himalayas to Bokhara, cashmere traveled much like the way it did before Marco Polo explored the Great Silk Roads. It came down from the mountains in countless little loads on the backs of yaks and horses – sometimes buoyed down interminable waterways on rafts and boats – before reaching a major hub, where it’s put on modern transport and swiftly whisked away to another country. When the fibers landed in Scotland, they were carded and then spun into yarn, at which point the spools were then sent somewhere else so the yarns could be knitted into garments. Today, however, the town is a shell of its former self. About half of the knitting mills here have closed — a story not unlike what’s happened to other manufacturing towns, such as the once much busier Northampton. The reason is obvious: these places have not been able to survive under the pressures of globalization. For cashmere in particular, Scottish companies haven’t been able to compete against the fashionable design of Italian knitwear or the cheapness of Asian manufacturing. Americans bought nearly 10.5 million cashmere sweaters from China alone last year – fifteen times the amount of what they bought a decade ago, and more than what they imported last year from Italy and the United Kingdom combined. Most of these sweaters retail for around $100, but you can find them for as little as $20 on sale. Some companies have even given cashmere pants away for free. It should be no surprise that none of these sweaters are any good. Since quality cashmere is expensive, that means cheap cashmere sweaters have to cut cost somewhere – either by knitting with a lot of slack and/ or using cheaper yarns. Cheap yarns are made from shorter fibers, which means you’re more likely to get those microscopic breakages, resulting in fibers flying up and tangling into each other (what is known as pilling). Since the sweaters are so cheap, however, buyers mostly shrug and replace them with something new. In this kind of environment, it’s been hard for Scottish companies to sell consumers on a $500 sweater when something that looks almost identical is around the corner for less than $100. Beleaguered from years of struggling against Italian and Chinese competition, and failing to get adequate government support, many Scottish companies have been forced to close down or abandon their manufacturing standards. About five years ago, Caerlee Mill, one of Scotland’s oldest cashmere companies and makers of the legendary Ballantyne, was shuttered and then subsequently demolished. Barrie almost faced the same fate until they were narrowly saved by Chanel (one of their biggest customers). And storied names such as Pringles and McGeorge — once great makers of Scottish cashmere knits — have long sold off their production facilities. Today, they trade on their Scottish heritage in name only. Most of their production is done offshore and they essentially function as fashion brands, with just the design process conducted in-house. It is said by those who love good knitwear, and I suppose who have also been around long enough to know, that the best cashmere sweaters came by the way of Scotland prior to the 1990s. They never lost their shape or pilled, and they kept their whipped cream, puffy cloud goodness even after decades of hard wear. You can still get some of this stuff if you shop vintage, but for those who want a new sweater, the best I’ve found is William Lockie. They supply knitwear to various Savile Row tailoring firms, as well as high-end brand names and stores. I recently talked with Allan Gilchrist, one of the company’s managers, about today’s cashmere industry, how the company has been able to survive, and how consumers can buy better knitwear. How does Wiliam Lockie procure their materials? We take materials seriously because, at the heart of any good cashmere sweater, it comes down to the quality of the fiber. If you start with an inferior yarn, there’s no way you’ll ever get a quality cashmere sweater. So we always buy the top-quality yarn and we get it from the top-quality spinners. Ours are from Todd & Duncan. The spinners source their material from around the world. They go to the different auction houses and bid on whatever would be the appropriate grade for the type of yarn they’re trying to make. The cashmere itself usually comes from Inner Mongolia, where it’s then sent to China for auctioning, usually in Canton. The spinners then buy their fibers at those auction houses. They can bid on an inferior grade, if they’re trying to meet a certain price point, or they can bid on a blend. We buy what I like to call the pedigree – meaning it’s the top-grade hairs from the pedigree goats, the best available. What makes one grade of cashmere better than another? It starts with the goats. The best goats are in Inner Mongolia. Due to a mixture of the food they’re given, the terrain, and the climate, they yield the best hair. But you can also get cashmere hair from other places in the world, such as Afghanistan or Australia. There are parts of Australia where the climate is similar to Inner Mongolia, so some people tried rearing goats there to get a similar hair, but so far it hasn’t worked. It’s a bit like Scottish whisky, you can get whiskey all over the place in Scotland, but there are different grades or qualities. In Inner Mongolia, there are some herders who are better at what they do, so they’re able to get better fibers. How long have you been in the cashmere trade? Over fifty years. Some of the big names back then have since gone out of business; some others have shrunk. When I was nineteen years old, I went to London for experience, selling knitwear for a local company. In those days, there were a bunch of companies that all made roughly the same quality of knitwear. We all bought yarns from the same spinner. We all knitted on the same types of machines. And all the sweaters were finished the same way, hand linked. The industry even paid the same wage, mostly, because it was a union thing. So there wasn’t that much difference in the cost price of a sweater. Things have changed and there’s a lot more differentiation nowadays. Not everyone uses the same type of yarn. We pay $135 per kilo for our cashmere; some companies pay much less. There are also new types of machines that can help cut costs in certain ways. Technology has made it possible to do different things. It doesn’t always result in the best quality product, but there are lots of companies that are just trying to get more yield. How many knitting mills were around when you started? 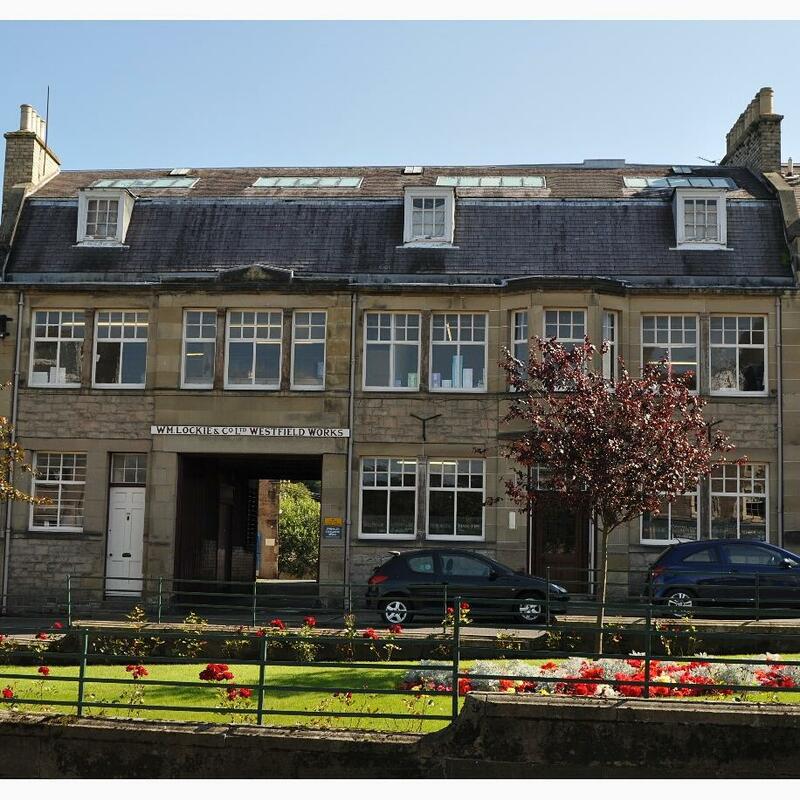 Well, knitting mainly took place in Hawick, the center for Scottish knitwear. You have to remember that each town specialized in a certain part of the textile trade. So Hawick was for knitwear. There was another nearby town for spinning. And another nearby town for weaving. These places made up the Scottish textile and clothing trade. When I left school at the age of sixteen, there were about sixteen knitting mills in Hawick. Now there are eight. Four of them employ more than a hundred people — Johnston’s of Elgin, Barrie, Hawick Knitwear, and of course William Lockie. The rest are smaller companies. And Barrie was close to closing, right? Well, they did close. They were bankrupt at one point, but one of their main customers, Chanel, bought them from their receiver. Chanel did it for their own interest because they needed a reliable source for Scottish cashmere sweaters. They get their sweaters there, so they had to save the mill. I saw there’s something called The Cashmere Club. Is that like a trade association? It’s a group of the Managing Directors in Hawick. They meet on a regular basis to talk about how to promote Scottish knitwear in certain markets. A few years ago, a group of us visited certain emerging markets – Russia, South Korea, Singapore, Hong Kong, Japan, and the like. We try to visit these markets in order to meet with existing clients, but also to get new clients. There was also some European funding for a while, which went to the association, and the association then used that money to promote Scottish knitwear – say, advertising in an in-flight magazine. The group isn’t as active as it used to be because there aren’t as many members. But it’s still around. 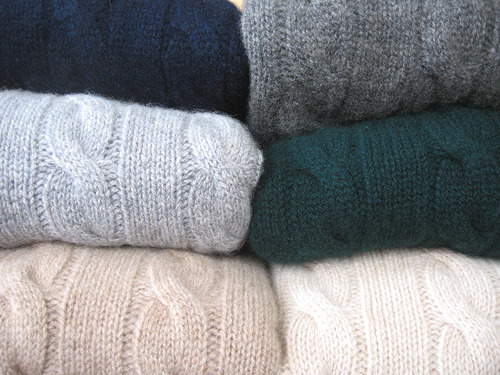 If you opened a new shop in America, you could contact The Cashmere Club and ask for a recommendation on where to get a certain type of sweater. They would then refer you to one of the knitting mills here. 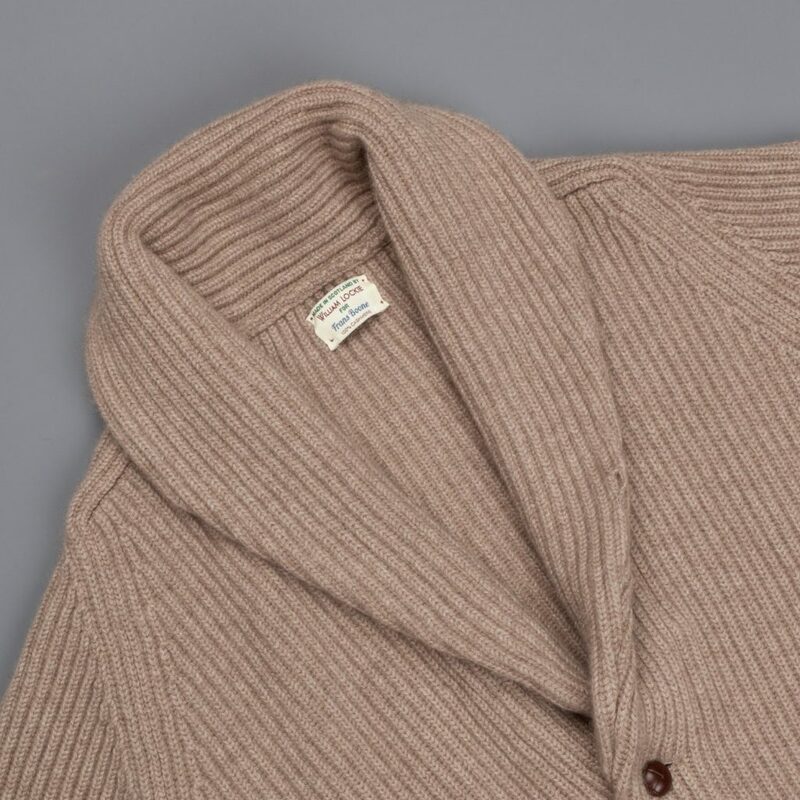 I’ve noticed that my William Lockie sweaters feel different – they’re not as soft as Italian cashmere knits, but they’re much harder wearing. It’s almost like you break the softness into them over time, like a pair of raw jeans, rather than start off with a very soft sweater. Why is that? Italian sweaters tend to be more fashionable. Many are even what you could describe as high-fashion. So the customer doesn’t worry as much about longevity – they care more about cut and pattern, which may be very of-the-moment, but aren’t meant to last forever. A Scottish sweater, on the other hand, tends to be more classic in terms of design, so it’s supposed to last a lifetime. The strength of the Italian knitwear industry is more in the design input. Which means Italian sweaters are often made differently. For one, many aren’t even fully fashioned, which means the ends aren’t linked point-by-point, as we do here in Hawick. They also tend to be very soft at first in order to impress the customer, so that they like the handle when the sales associates hands something to them over the counter. It’s good when a sweater is soft, but sometimes it can be too soft. And if it’s too soft, the garment doesn’t have enough body to it, which means it’s stretch out over a period of time from repeated washing and wearing. There’s not enough strength in the knitting, even if they’re using a quality yarn. With Scottish knits, however, we start with the best quality yarns, but we also knit at a tighter tension. This results in a denser, slightly heavier weight sweater, but it holds it’s shape over time. You want to hit a happy medium. You want a garment that’s soft enough to impress the customer at first, but still give them the kind of longevity that justifies the price. Knitting tight also means using more raw material, which is why you don’t see this kind of quality on lower-end sweaters. I’ve always thought the softness comes from the washing process, what’s known as the milling process. It’s basically like a washing machine, where a sweater is submerged and then beaten around a bit to soften it up. Is that not also one of the ways you can soften a sweater? Yes, there’s that too. When we get our yarns from the spinner, they have oils in them – we call them greasy. Those oils help make the yarn supple when they’re going over the needles. There are nine different parts to making a sweater – you have to make the front skirt and front body, the back skirt and back body, the left cuff and left sleeve, the right cuff and right sleeve, and then the neck. There’s a lot to knit, and once the pieces have been made, they’re connected together through a hand-linking process. And once that’s done, we wash the garment in order to get out the oils. That’s when the garment becomes softer. There’s always someone in charge of this washing process, or as you correctly called it, milling. And it takes years of experience to do it right. The person has to pull the garment out at just the right moment. So there’s a bit of skill involved to make sure the sweaters are washed just enough and not more. There have been so many Scottish knitwear companies over the years that have either folded or been turned into brands, meaning they’re operating on name only and no longer have their own production facilities. I’m thinking of companies such as Pringles, Lyle & Scott, Ballantyne, and McGeorge. Why do you think William Lockie has been able to survive as a knitting mill? We’re a smaller company and we offer a good sell. We’re a bit more flexible because of our size. We listen to what our buyers want. If they want something knitted two inches longer, we’ll make it two inches longer. More importantly, we’ve never pushed the boundaries to keep expanding and expanding. For a while, there was a fashion for emblems on sweaters, like you’d find at Lacoste and Pringle. When that kicks off, you’re very fashionable, but when the trend falls off a cliff at 2:30pm in the afternoon, what do you do with your production capacity for 66,000 garment production per week? You then have to downsize or eat a loss for a while. That’s what has happened to a lot of companies – they’re popular for a while, they’re in fashion, and so they increase production. That means they buy new facilities, new machinery, but when the market dries up, they’re left high and dry. So in the nicest way possible, I can say we’ve never been very fashionable as a brand name, so we’ve never gone out of fashion. We’ve managed to tick along, putting on very modest growth each year. As some companies go out, we’ve also pick up their business, at least for those companies that continue to want to make in Scotland. 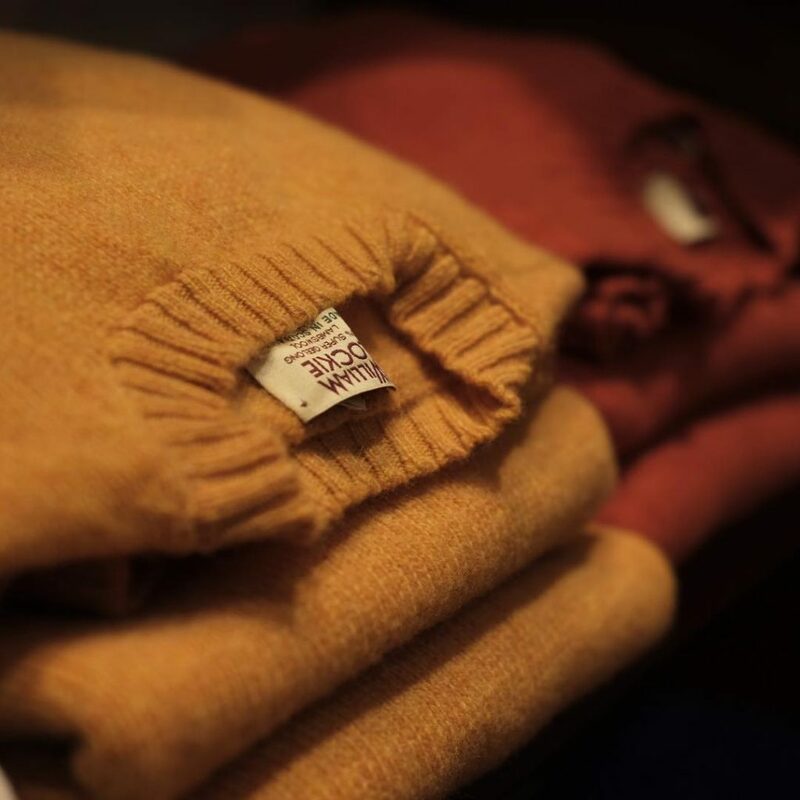 What do you think is the future of the Scottish cashmere industry? Well, when you think of Scotland, you think of whiskey, tartans, and cashmere sweaters. When you look at American store buyers, when they want something fashionable, they go to Italy. When they wanted something cheap, they used to go to Hong Kong or China. But as the price of some of those Asian garments have rocketed up, many American customers have come back to Scotland. We’re not asking for 10,000 v-necks as a minimum order – no, we’re happy to do two- or three-dozen sweaters for a good customer. We keep a stock service; we have a hundred colors for cashmere. I’m hopeful for the trade because I think we do good work here. Scotland will always be known for their cashmere knits, which means there’s always going to be some part of the market out there that appreciates this sort of quality. If someone was going into a store today, how can they spot a quality cashmere sweater? It’s hard for a member of the public, but one way is to look at the seams. Around the neck, a higher quality sweater will be point seamed, which means it’s bounded link-by-link, rather than being seamed. When it’s seamed, it makes the neck look kind of bulky and not very smart. But if you’re just a casual consumer, you’re probably going by the handle, meaning the touch and feel of a garment. As you said, it can feel soft, but if it’s too soft, it’s not going to last very long. Thanks for your time, Allen. Those interested in William Lockie can find them at Mr. Porter, Frans Boone, Quality Shop, and A Hume. Kate Davies also has some wonderful photos of the William Lockie’s mill at her site.